Bus Éireann has released a statement urging all employees to engage with management to prevent the company becoming insolvent. SIPTU MEMBERS IN Dublin Bus and Irish Rail are to ballot for industrial action. A meeting of SIPTU representatives from Dublin Bus, Irish Rail and Bus Eireann was held in Liberty Hall today to discuss the ongoing strike in Bus Eireann. SIPTU Sector Organiser Willie Noone said, “The meeting also gave a mandate for a ballot for industrial action of union members in Dublin Bus and Irish Rail in sympathy with and in support of their colleagues in Bus Eireann. They believe that they are next in the firing line if management in Bus Eireann is allowed to force through cuts to wages and changes to conditions of employment of their staff. A protest is also planned in support of the Bus Eireann workers. It will take place on Wednesday at Leinster House when a meeting of the Oireachtas transport committee is on. Noone said, “The representatives also agreed that the protest should be supported as it is a means of highlighting the failure of the Minister to take responsibility for the dysfunctional state of the public transport service. We are encouraging members of the public and of the union, including those who work in the public transport sector and are available, to attend the protest. 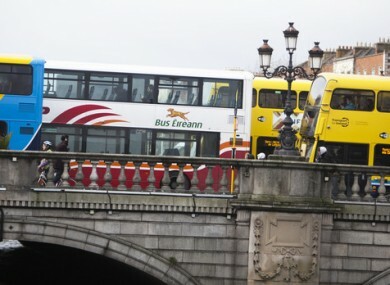 Meanwhile, Bus Eireann says it will not be able to fund a voluntary redundancy scheme and will have to consider other measures to prevent the business becoming insolvent if it does not make savings. A survival plan was presented to the board today which included cost efficiencies to eliminate what it called “grossly inefficient work practices”. The board said it could not sign off on accounts for 2016, or pass a budget for 2017 in the absence of agreement with staff. In a statement this evening, the board requested all employees to urgently engage with management through their representatives to agree a survival plan to prevent insolvency and provide a viable future for Bus Éireann. General Secretary of the NBRU Dermot O’Leary described the statement as “nothing short of bizarre and extraordinary”. The notion that alternatives to work practice changes and a voluntary severance programme would be entertained, would appear to indicate that the company may go down the road of compulsory redundancies which, if pursued would be unprecedented in the semi-state sector. Email “Dublin Bus and Irish Rail workers to ballot for industrial action”. Feedback on “Dublin Bus and Irish Rail workers to ballot for industrial action”.